NCC, founded in 1966, so far, we have more than 50-year experience in this field. We are one of the main manufacturers and exporters of tungsten metallurgical products, cemented carbide alloys and hole machining tools. We produce tungsten oxide, tungsten metal powder, tungsten carbide powder, cemented carbide rods, cutting tools and other products in these categories. 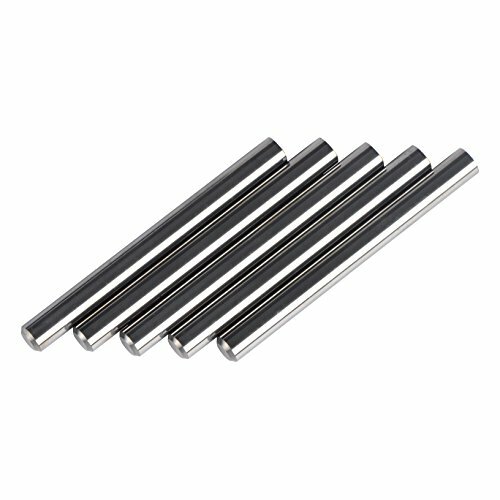 This carbide rod of grand YK20 have good wear-resistance and toughness. Suitable for milling and boring process on 50HRC max. like steel, cast iron, stainless, aluminium alloy, etc. Recommended for making cemented carbide routers and drills. Grade YK20 (ISO K20-K30), ground with chamfer, 1/4*2 1/2 inches (Length tolerance: 0~+0.0394 inches). With 10.0% cobalt, grain size of 0.6μm, density 14.5g/cm³. Hardness: 91.8HRA, 1660HV30; TRS 4100 N/mm², TRS 595 KPSI; Kic 9 Mpa.m1/2. Suitable for milling and boring process on 50 HRC max, like steel, cast iron, aluminium alloy, etc. Recommended for making cemented carbide routers and drills. View More In Drill Blanks. If you have any questions about this product by NCC, contact us by completing and submitting the form below. If you are looking for a specif part number, please include it with your message.